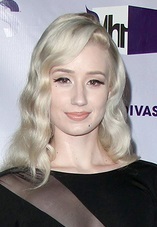 Iggy Azalea is an Australian hip-hop recording artist, rapper, songwriter, and model. She is the daughter of Tanya and Brendan Kelly, who is a painter and comic artist. Her surname is generally Irish. She looks Norwegian. I’ve seen several Norwegians like her. So is she actually aboriginal or not?